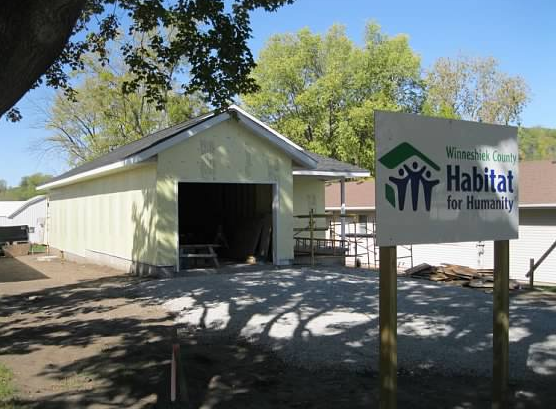 In these difficult financial times, we know that Habitat families may need some assistance from local organizations. That is why we are sending this brief information sheet to all Habitat families in our area. Take a moment to look this over and if you might need assistance from any of the organizations listed below, please contact them to learn more about the services they offer and how they might be of help to you. Access to job fairs and other special events. Personal assistance in locating employment opportunities in your desired field. Access to an ever expanding and tailored networking system. Receive job leads by mail or e-mail. Access to additional government sponsored employment programs. Access to no-cost, educational, training and workshops. Opportunity to earn training certificates. Access to career and skills assessments. Coaching and assistance in writing a resume. Assistance with completing electronic applications. Receive personal assistance in managing your Unemployment Insurance claims. The Housing Trust Fund helps to rehabilitate and/or repair the homes of first time home buyers. Households with incomes less than 80% of the statewide median family income can apply for funding. More information and applications for funding can be obtained at the Upper Exploreland Office at the Postville address above. Call NE Iowa Community Action Corporation at 563-382-8436. First Lutheran Church Food Pantry, 604 West Broadway in Decorah. Phone: 563-382-2928. Hours: M-F 1:30 -3:30 p.m. and Thursday from 6:30-8:30 p.m.
Decorah Area Free Clinic, First Lutheran Church, 604 West Broadway. Hours: Thursdays, from 6:30-8:30 p.m.
Would you like to share a free evening community meal? The third Thursday of each month (5:00-6:30 p.m.) a free community meal is served at First Lutheran Church in Decorah – 604 West Broadway. All are welcome. Need help preparing your federal and state income taxes? Trained and certified volunteers can prepare your tax returns for free each tax season at the Decorah Public Library. Call 563-382-3717 for information. Call Child Care Resource & Referral of Northeast Iowa at 1-855-299-0400.